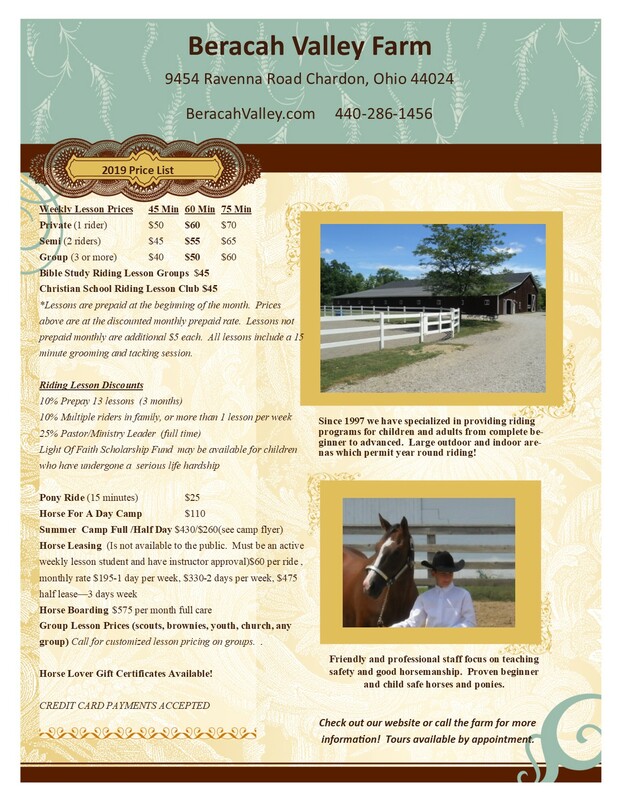 Beracah Valley Farm | Open since 1997, Beracah Valley Farm is Northeast Ohio's premiere riding academy for both English and Western riding. We offer riding lessons, group programs, summer camps, mini camps, boarding, shows, volunteer opportunities and more! WE PUBLISHED OUR 2019 SUMMER HORSE LOVER CAMP WEEKS!! 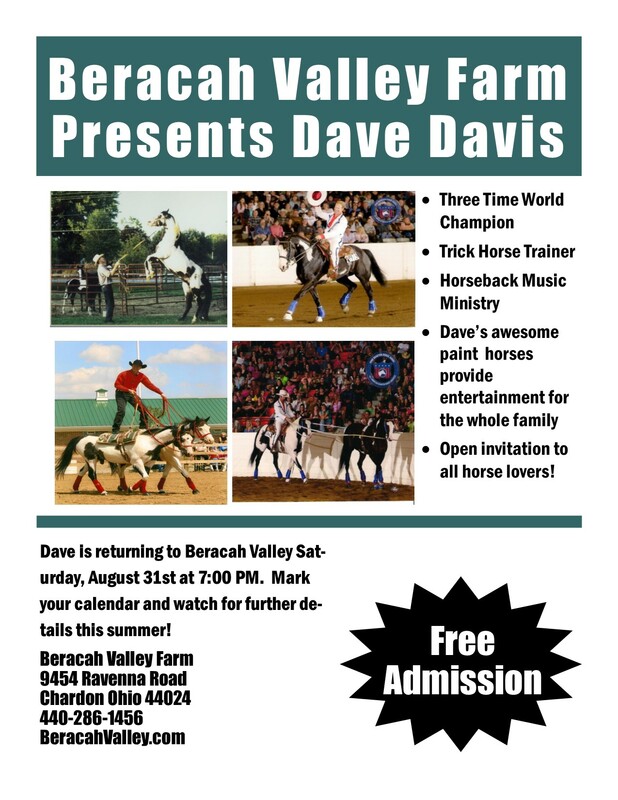 Beracah Valley Farm is a Christian family owned riding stable located in Chardon Ohio that specializes in teaching riding lessons to new riders including children of all ages. 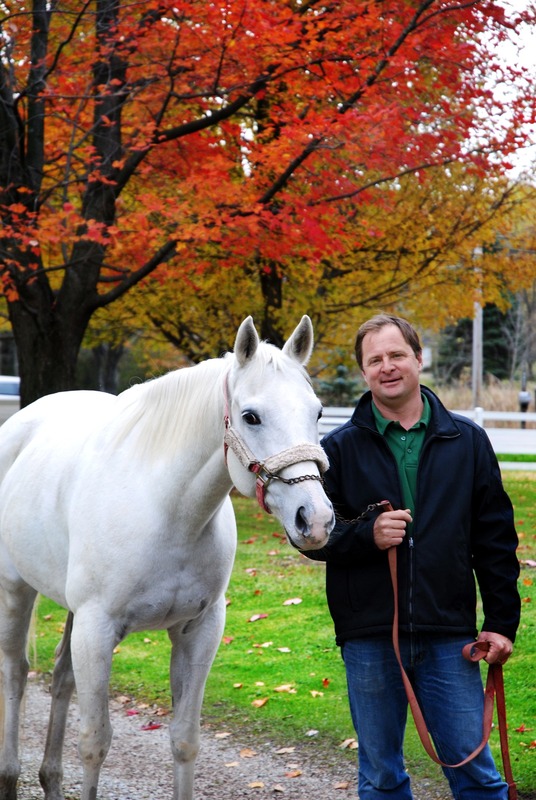 We have been a full service equestrian facility with a primary emphasis on safety since 1997. The 10 acre property is a beautiful park like setting with a stocked pond, 3 large grass pastures for turnout, and 3 separate barns for stabling horses. 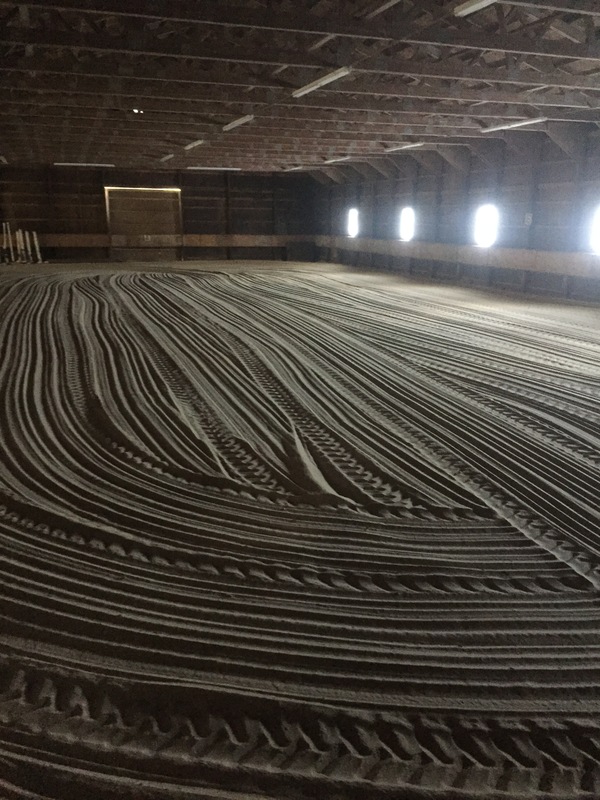 We have both indoor and outdoor riding arenas for year round riding including a several acre hunt field for good weather riding. We are located just a hundred yards or so from Big Creek Park and the miles of bridle trails. For winter riding we also have a heated lounge for viewing lessons with heated restroom facilities. Our goal is to provide a safe, family friendly Christian environment for our riders to learn good horsemanship and enjoy God’s awesome creation… the horse. Please call for more information or to arrange a tour at 440-286-1456. 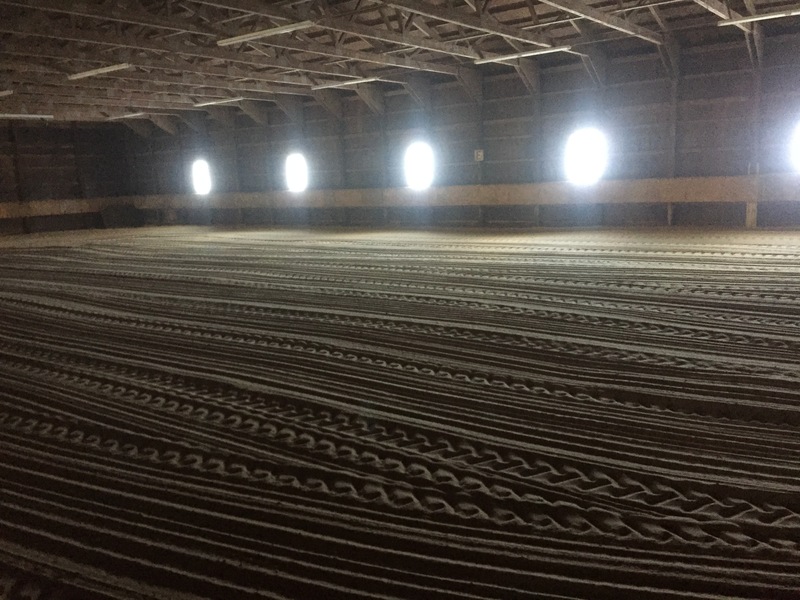 We just put up new LED indoor Lighting and brand new arena sand for 2019! Join The Fun At Beracah Valley! Students are enjoying lessons in the afternoon and evenings during the week, and all day on Saturday! Click on the web site pages for more information or call us at 440-286-1456. Meet Light of Faith, our mascot! A rescued ex-racehorse, Faith has become a barn favorite. Each year, Beracah Valley Farm offers free lessons and enrollment in riding programs to students who have experienced a major hardship in their lives. We sponsored a total of 13 children in 2015! From 2012 through 2017 Beracah Valley provided over $35,000 worth of riding lessons to students in need. Please visit our Ministry page to find out more, and please contact us if you know a potential student who may benefit from this program. Not sure what to give to the horse lover on your list? “Horse Lover” Gift Certificates can be purchased for any amount and used at Beracah Valley farm for any of our programs, including lessons, shows, lease days, Horse for a Day programs, and camps. With many upcoming programs (check out our Horse for a Days offered several times this season for more information), there’s more than enough to keep any equine enthusiast happy. We make shopping easy! Just call the farm with a credit or debit card and we will mail the gift certificate right to your home!